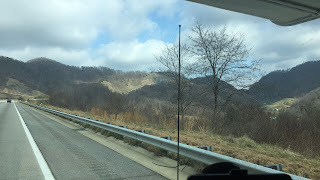 We headed out of Charlotte, NC and into the foothills of the Great Smokey Mountains. 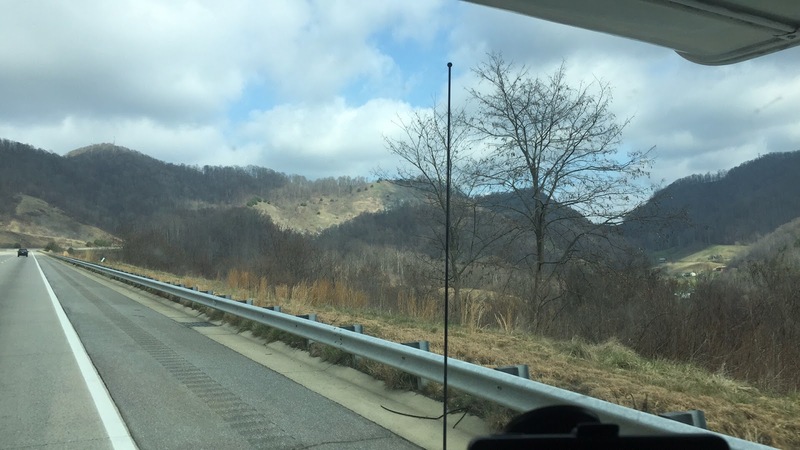 Out of the flatland and into the hills and deep hardwood forests, our spirit began to lift. We are NOT FLAT-LANDERS. We wound through country roads and small towns reaching Brevard in the early afternoon. This quiet town of 8,000 folks is 40 miles south of Asheville and home to dear old friends from Bobbie's college days. For the next three days we visited with our friends, hiked to various waterfalls, and took a drive on the Blue Ridge Parkway.